Successfully Added HK Warehouse Blackview BV6000S IP68 Smartphone - Android 6.0, 4G, Dual SIM, NFC, Quad Core CPU, 2GB RAM (Black) to your Shopping Cart. Blackview’s BV6000S IP68 Smartphone is designed to withstand the toughest of conditions. For those who are looking for a durable and resistant phone that can take a hit and is resistant to exposure to dust and water alike the Blackview’s BV6000S IP68 Smartphone, with its IP68 protection rating, is the perfect choice. The 4.7 inch display is furthermore protected by Gorilla Glass 3 meaning that scratches and drops aren't likely to stand in your way. With its 4.7 inch HD display this phone offers its users the possibility to enjoy games, movies, and other mobile applications in great detail. At the same time its light weight and compact design allows the user to carry around the phone without any further hassle, making it a truly portable device. Besides the possibilities to enjoy your regular apps and media on this telephone the device also offers plenty other unique capabilities such as its outdoor credentials including inter alia accurate GPS and atmospheric pressure sensors that can detect changes in weather. Equipped with a powerful 4 core processor and 2GB RAM the Blackview BV6000S offers a high quality overall user-performance. Along with its T720Mp Mali CPU the device offers its users the opportunity to enjoy all the latest games, apps, and movies without suffering any delays. The device furthermore offers 16GB of internal storage and has an extra micro SD card slot capable of holding up to 32GB of extra storage space, providing the user with enough space to build an extensive media library. At the center of the Blackview BV6000S Smartphone lays an Android 6.0 operating system. This Android 6.0 OS manages the phone’s performance with high efficiency, enabling the user to make perfect use of every last bit of power available. Due to its powerful operating system the device is capable of delivering fast downloading speeds and offers its users the opportunity to multitask efficiently without having to worry about the phone’s capabilities. The Blackview BV6000S holds the possibility to insert two SIM cards that both can take advantage of the phone’s 4G connectivity, allowing the user to access the fastest cellular speeds available with downloading speeds up to 150Mbs. With 4G connectivity at one’s disposal streaming or downloading the largest media files to your phone should not cause any issue. With its built-in 4200mAh battery the Blackview BV6000S holds nearly twice the battery capacity of standard smart phones. This battery should be enough to keep you going for days’ worth of light usage, making the device perfect to be used in outdoor activities where electricity supply is scarce. 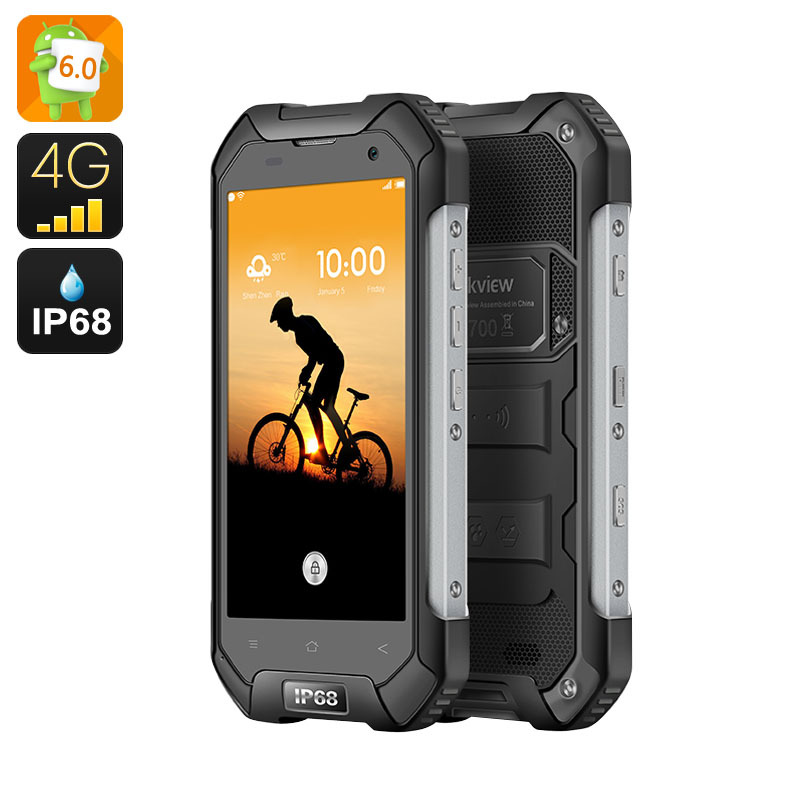 The Blackview BV6000S Rugged Smartphone comes with a 12 months warranty, brought to you by the leader in electronic devices as well as wholesale rugged phones..